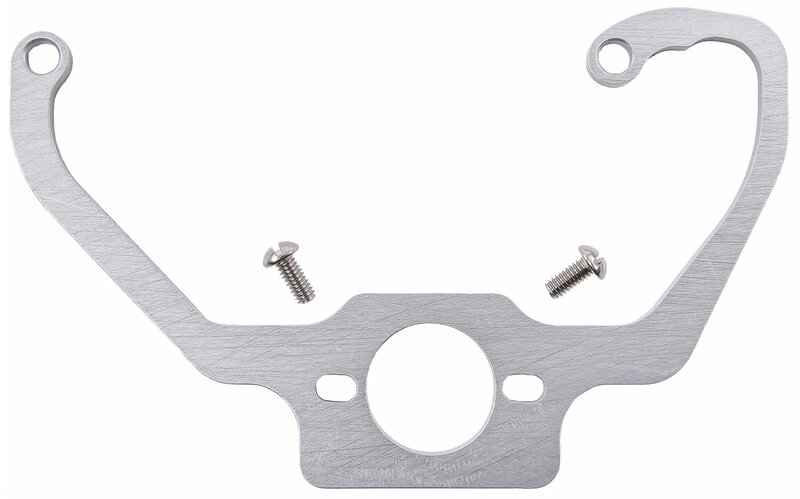 Easily and professionally mount any of the more popular regulators to the passenger side of the carburetor with JEGS Custom Billet Aluminum Fuel Pressure Regulator Brackets. Designed for use with 4150/4160 (with 30cc or 50cc Secondary Accelerator Pump) and 4500 style Holley carburetors. We could have made one bracket, a one size fits all, but then it would have a universal look with a lot of ugly extra holes and it would not be a custom bracket made the JEGS way. Made from 1/4" 6160 billet aluminum plate. Available in clear or black anodized finish. Includes regulator mounting screws.